Wow, what a couple of action-packed days!SEOMoz Pro training seminar is an annual advanced SEO training event organised by SEOMoz. The event ran in London for first time this year, in partnership with Distilled, a London-based search marketing agency. Wow, what a couple of action-packed days! SEOMoz Pro training seminar is an annual advanced SEO training event organised by SEOMoz. 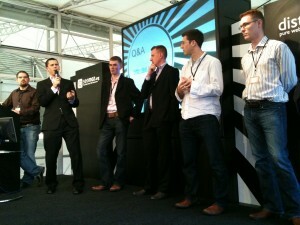 The event ran in London for first time this year, in partnership with Distilled, a London-based search marketing agency. I found this seminar very educational, the quality of the presentations were of high standard due to the topics chosen and the generous approach to give out actionable tips made this event unique. If I had to choose only one SEM conference to attend every year, likely this one would stand a high chance. I am not going to cover the event in detail because that’s already been done by SEOMoz, Distilled and plenty of other SEO bloggers that attended the seminar. Instead I am simply going to list my own top 10 learning points or tips that I took home after the seminar. 1. Invest time into mastering Excel for long term benefits: get on with Excel’s advanced features, including filters and pivot tables. It will help you enormously to organise your keyword/keyphrases terms lists, perform permutations of different kinds, mix data from other sources (eg: Linkscape reports from competitors sites, data from GA reports….). It will, in a nutshell, help you analyse data and make faster decisions to move onto other tasks, from Will Critchlow and Richard Baxter. 2. Microsoft has produced a Search Engine optimisation toolkit and is recommended by Dave Naylor. 3. If you do in-house SEO, Richard Baxter‘s advice is to invest as much time as needed to justify the impact of an SEO investment to the management in order to win the business case for SEO. This learning point was complemented by Rand Fishkin‘s presentation the following morning, packed with pretty charts and graphs, to help win the case for SEO to your management or clients. From a corporate SEO perspective I found these two contributions invaluable. During this presentation, there was a very interesting piece of data that drew my attention: over a third of search engine users are still not aware of the existence of Google Adwords as an advertising scheme. Also, over half of all search engine users are unable to recognise PPC advertising on the SERPs (search engine result pages) meaning they probably click on them thinking they are part of the overall set of natural results. 5. Bad links can cause harm. When it comes to a situation where rankings have been lost, a lot of those so-called penalties are often just filters. Removing cloaking (eg: hidden links) and ‘bad neighbourhood’ inbound links, can greatly improve your rankings. (from Jane Copland). – Search engines are not placing as much importance on H tags as they used to. Keywords placed into H1 and H2 tags do not represent a strong signal to the search engines as those included in images ALT tags. – Keywords on the domain name have considerable weight in the ranking algorithm, however, repeating the keyword on the path name doesn’t seem to have any positive effect on rankings. – It is necessary to have more than one complex models for defining ranking factors. It is necessary to look at some other models. 7. The best strategy to be succesful at link building is to realise your site or your client site’s USP ( Unique selling proposition). Once you come to terms with this principle it becomes easier to earn links naturally (using tools like Linkscape or Back link analysis from SEOMoz to identify link opportunities from your competitor’s link portfolios) – from Tom Critchlow. – answering customer objections to your product (the main landing page has to be able to respond to those objections). – use testimonials to highlight answers to some of those objections. Ben already presented some of this material at the SMX London in May this year. The difference with this presentation is that a lot more detail was provided on how to actually get the job done. 9. If you are managing a big site, it is worth spending some time on improving page load time. As the web grows bigger, this is something that search engines are going to start considering more firmly as a factor for ranking sites. I cannot remember who I got this bit from. 10. Make better use of SEOmoz tools and use a combination of them to find out how your competitors do link building, what works best for them and where their linkbait is: Linkscape in conjunction with some of the best tools in SEOmoz Labs. There was a great deal more of useful tips and advice that was given, such as dealing with scalable information architecture, online PR stuff, vertical search such as Google maps and local business listing optimisation, video sitemap strategies, content strategies, etc… of all, the points listed above were the most significant for me. One other noticeable trend I noticed was the large number of SEOs I met that were involved in affiliation or running some form of affiliation marketing on their sites… there was a great deal of affiliate marketing discussion and buzz going on during the event itself and also during the evening social gatherings. If you are interested in reading more about this event and other bloggers’ recaps, I suggest you google ‘SEOMoz Pro Training seminar 2009’ and you will find plenty of related material in different languages depending on the local version of Google you use. For example, this one from Fernando Maciá, in Spanish, was one of the first blogs out to be covering the event. I had the chance to meet or catch up with some SEO peers : Dan Reynolds from Strategic TMC, David Jackson from Sixt, Kirsteen Fox from Iglu, Dan Barker from Baker Ross, Ian Bryce from Sony, Alec Kinnear from foliovision, Ari nahmani from Matan Media, Ashkan Parsa from Netgrade, Annabel Hodges. As I didn’t exchange cards with everyone, apologies to those I do not mention, please drop me an email and I will add you to the list. As usual, one of the best things about these SEO events is the networking during or after the sessions.